Have you just bought office 2010? Do you want to find the product key or the license terms associated with your copy of office 2010? Here is how you go about determining the microsoft office 2010 product key and the applicable license terms. How to find Microsoft Office 2010 product Key and license designation? If you purchased a boxed retail version of office 2010 from a retail store, a microsoft reseller, an online retailer or directly from microsoft, the office 2010 product key should be located inside the shrink wrapped package, in a label on the left side of the DVD case. You can determine the license designation for the product as shown below. 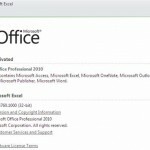 If you purchased the office software from Microsoft online and you downloaded the software to your computer, you should find the office 2010 product Key on the order confirmation page. You can also find the license designation, just besides the product name, on the order confirmation page. 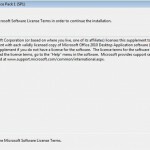 If you purchased a new computer with office 2010 pre-installed on it and the price of the software is included in the price of the PC, the license designation should be located besides the 25-character Product Key. However, the location of your product key depends on your license type. Find your product key and license designation as illustrated below. The product key and the license designation can be found on the Certificate of Authenticity. You can also find the OEM designation in the Product ID, by clicking “File” => “Help” from within any office 2010 application. 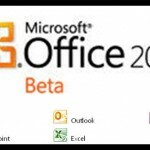 Sometimes, office 2010 is pre-installed on your new computer but you may not have paid for it and hence you may not be able to use it.You may however determine whether office 2010 is pre-installed by going through the list of installed programs (“Start” => “All Programs” => “Microsoft Office”). 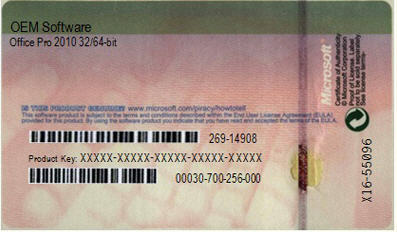 If you want to use it, you may purchase an office 2010 product key card to activate the software. 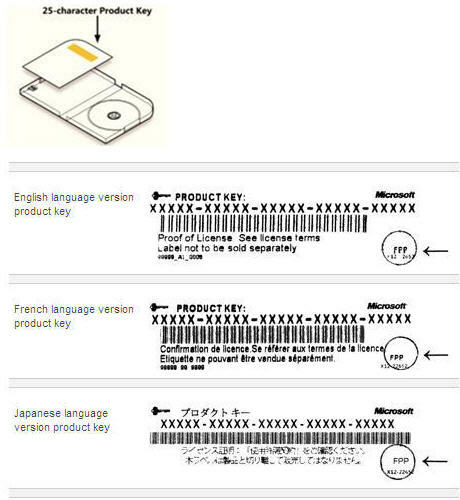 If you purchased a product key card from Microsoft, a retail store, reseller, or any online retailer, the Product Key should be located inside the package in a label on the left side of the case. If the license designation is FPP, then the retail license terms apply to the office 2010 software and if the license designation is OEM, then OEM license terms apply. If you purchased a product key card then the product key card terms apply.